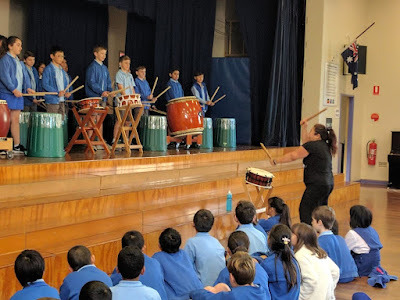 On Tuesday morning, we were fortunate enough to participate in some Japanese Taiko Drumming. All students had the opportunity to go on stage and have a lesson on how to drum and how to be part of a team. It was a very enjoyable morning.